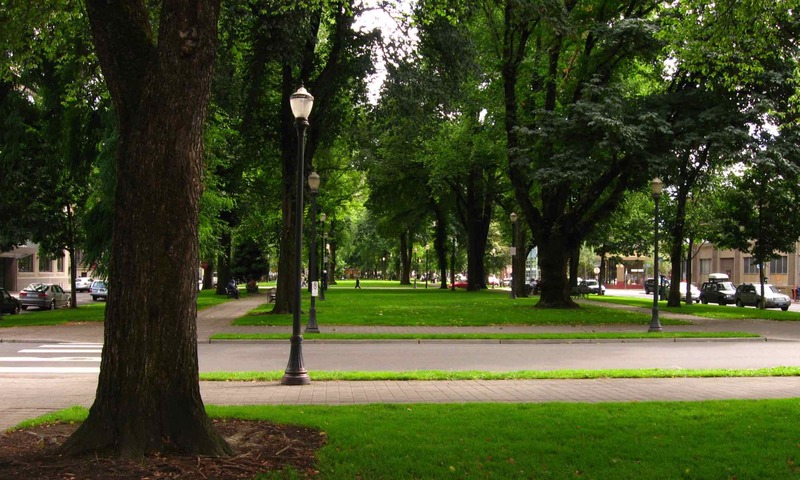 Portland’s historic North Park Blocks are a green oasis between downtown, Old Town and the Pearl. Walk Score rates the location 99/100 a “Walker’s Paradise” Daily errands do not require a car. Transit Score 94/100 “Rider’s Paradise” World-class public transportation. 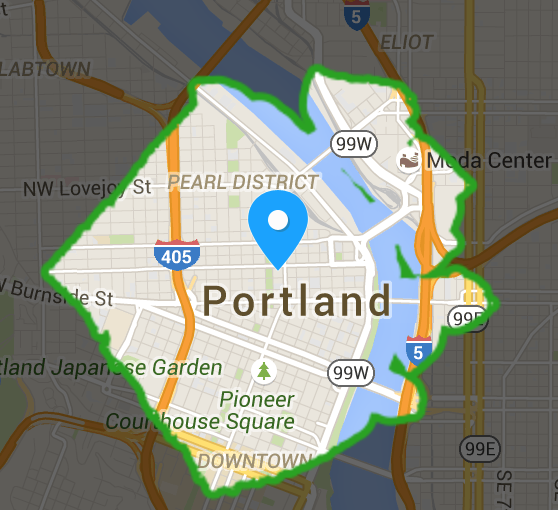 Bike Score 98/100 “Biker’s Paradise” Flat as a pancake, excellent bike lanes. Captain John H. Couch deeded the five blocks to the city in 1865, and they were officially platted for a municipal park in 1869. An ordinance was passed in 1904, setting aside one park block for women and children. 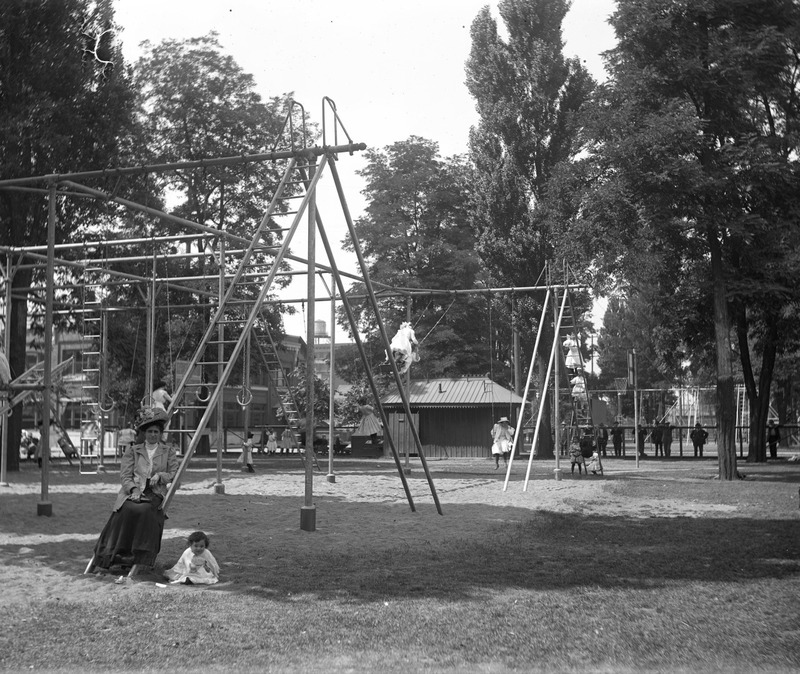 In 1906, another block was added for a children’s playground. The playground was divided into a boy’s playground and a small child and girl’s playground. In 2002, Chinese foundry owner Huo Baozhu donated Da Tung and Xi’an Bao Bao, full-size bronze reproductions of Shang dynasty elephant statues, to Portland. The city placed them on the North Park Blocks where children could interact with them. The young elephant stands “peacefully on his father’s back”, symbolizing “safe and prosperous offspring”. “Dog Bowl” was designed by dog photographer William Wegman in 2001 and installed in the North Park Blocks between Davis and Everett streets in 2002. According to the Regional Arts & Culture Council, which administers the sculpture, Wegman said he created the sculpture “for dogs, not people”, and prefers not to think of the bowl as public art. The park is home to the Oregon Jewish Museum and Center for Holocaust Education and a beautiful new Hampton Inn and Suites by Hilton. The crown jewel is the new campus for the Pacific Northwest College of Art (PNCA), Oregon’s flagship school of art and design since 1909. At the north end of the Park Blocks a parking lot currently occupies a block that will be redesigned as an extension of the North Park Blocks. Lee Kelly’s 4,000-pound, 23-foot-long sculpture entitled “Memory ’99” kicks off the re-positioning of this land into a future North Park Blocks park, the first addition in 143 years. 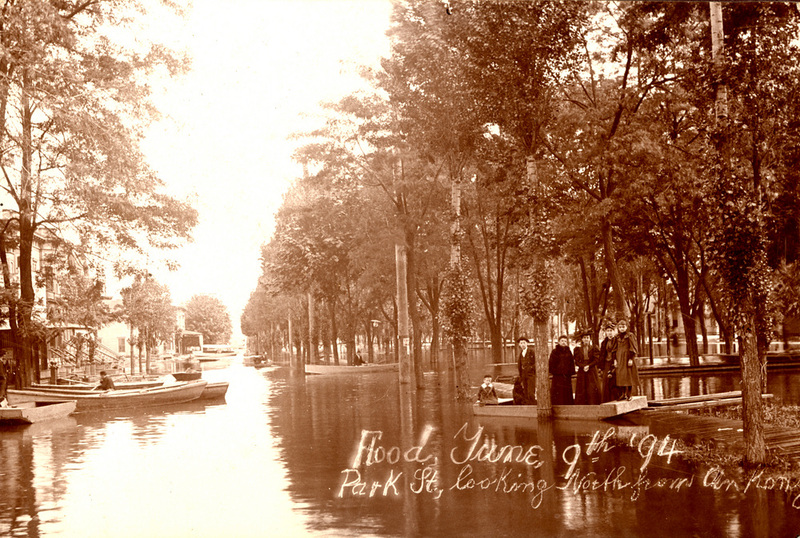 Park St., looking north from Ankeny, in Portland’s North Park Blocks during flood, June 9 1894.